Selling your home at auction can seem like a daunting process, but it doesn’t have to be. 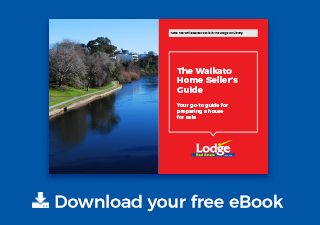 Here at Lodge we believe that knowledge is power and that a better understanding of selling methods can take the stress out of selling your home. We have a team of three auctioneers who collectively auction over 800 properties per year. This gives you the benefit of their considerable experience in generating the very best price for your property. Options: You remain free to consider any offers before Auction day, if you choose to, in accordance with our Procedure for Pre-Auction Offers. Control: You are in control - you set the reserve and select the possession date that suits you. Tracking interest: All salespeople can register potential customers for your property via a centralised online database, so we can track interest and contact all interested parties in the event of a pre-auction offer. No price limitations: By marketing without a price you are never limited by an asking price that is too high or too low, so you can attract a wider range of buyers. Market feedback: Your salesperson will provide regular market feedback to assist you in setting the reserve price of your property. Preferential online ranking: Properties for sale by tender or auction, along with those meeting our “promotion” criteria, appear ahead of others in our website search results. That the auction process is supported by an appropriate marketing programme to create a high profile and attract as many customers as possible before the auction day. What documentation do I need to have? How much it will cost to sell my home? What should I expect from a real estate agent?